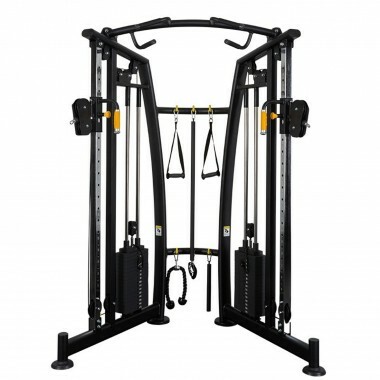 As the term home gym or multi-gym suggests, this piece of equipment attempts to bring the functionality of the gym to your home. It sounds great in theory - a single piece of gym equipment that merges several standalone machines into one. But this is where things can go horribly wrong! Over the years, designers have attempted to squeeze as many exercises into one machine as possible, and while this makes marketing the machine a lot easier, nearly all exercises are compromised in their functionality, or they don’t include the essential exercises. 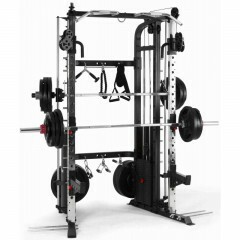 Looking for: Cable Crossover, Smith Machine, Half Rack, Multi Grip Chin Up? 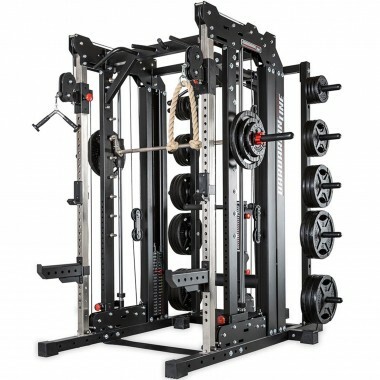 Check out the revolutionary Barbarian Smith Cable Rack! That's why we stand by the fact that not all equipment is created equal. 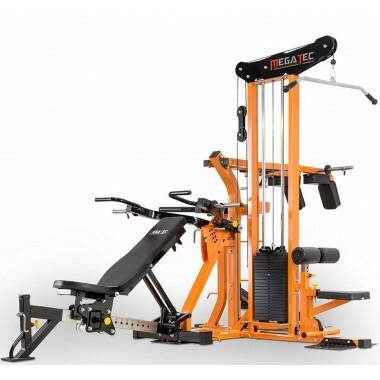 Just take one look at our selection of multi gym's and you will realise that we bring something different to the table, and the differences are far more than cosmetic. To find out more about the pitfalls of buying a cheap multi-gym, and the difference quality can make to your home workout sessions read on down the page. 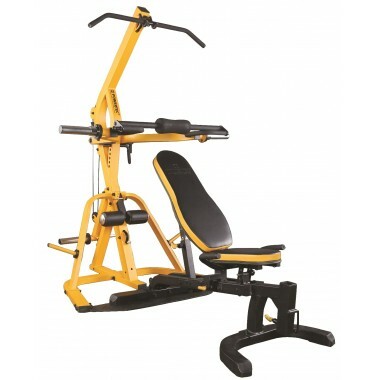 The mere mention of the term home gym can send a shiver down the spine of the serious weight trainer. Multi gyms or multi-station gyms as they are also known can be pretty cheap and nasty. 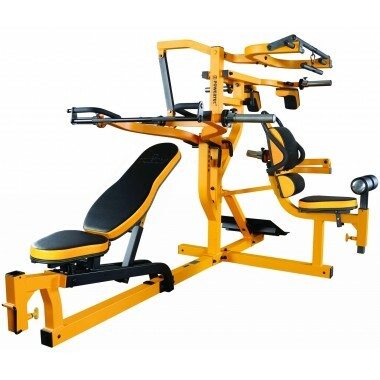 If you have ever searched for gym equipment online, you will be familiar with the plethora of cable style home gyms that are very attractively priced. They promise the workout of your life, but the best workout you will ever get from these multi gyms is dragging them out to the front of your house for the next council rubbish pick up! To minimise the footprint, most manufacturers will use a weight stack. This requires the use of cables. Now cables are fine as long as they follow simple paths. But on multi gyms with multiple exercises, the paths are long and complicated. 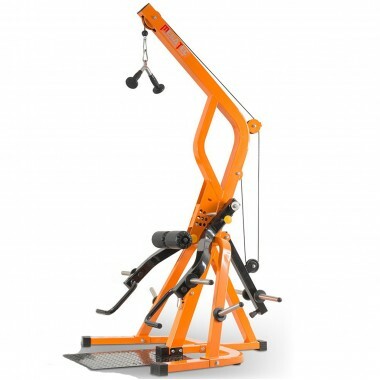 Often this results in a mechanical advantage – so you might only need 50kg of force to lift 90kgs. This isn’t good if the machine only comes with a 90kg weight stack. Complicated cable routes also generate uneven resistance curves. So during an exercise, the resistance will be stronger during different parts of the exercise. This often gets worse over the life of the gym as the cables start to stretch. Are there any decent multi gyms out there? 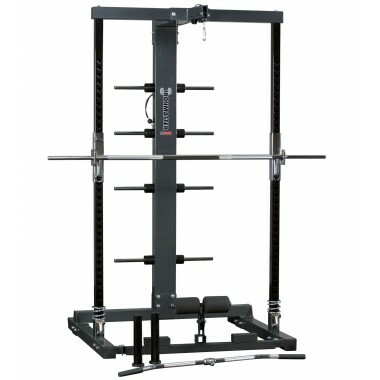 Now a good quality cable home gym is fine, but they can be very expensive. The cheap multi gyms that are on eBay and Gumtree are just a disaster. Not only do they have terrible biomechanics and the issues outlined above, but the cables and pulleys fail as they are poor quality. I always tell people that these types of gyms are great if you don’t on ever using them! This is where the original Powertec Leverage Gyms took a completely different approach. 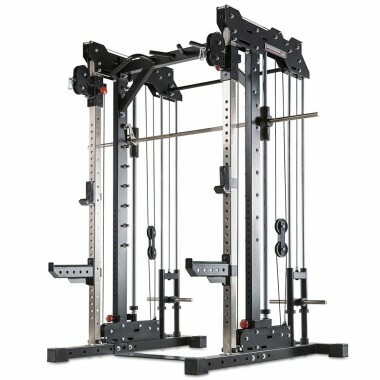 The original designer of the Powertec gyms was part of the team that developed the early leverage machines that you see in commercial gyms today. He had the idea to combine these elements into single machines for home – make a gym that had the look and feel of the commercial leverage machines but at a fraction of the cost and space. The result was revolutionary. 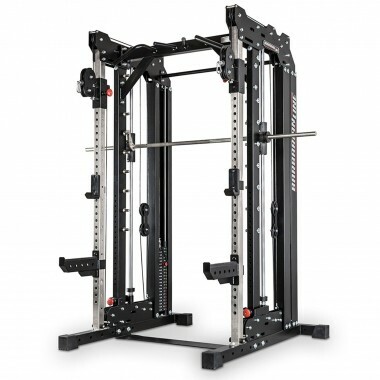 Personally, I took one look at these machines on the Powertec US website and was blown away. It was one of the reasons that I started Sam’s Fitness. I just had to get these multi gyms into Australia! German Design at it's finest. This machine is the undisputed champion in it's category. Finally a home gym oriented Smith Cable Rack. Everything you will ever need to train in one spot! 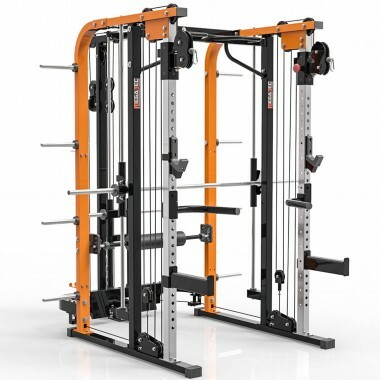 Fully decked out Smith Cable Rack, designed in Germany at an unbeatable price. Barbarian MONSTER Gym-150kgs of weights FREE! What set's apart from these multi gyms from the competition? What I and the rest of the customers who have made these gyms so successful globally liked about these gyms was the simplicity and functionality of the design. Instead of trying to cram as many exercises as possible onto a gym, they have included the exercises that deliver the most bang for the buck. You can do the compound movements like bench press, squats, lat pulldowns, and rows. All with very generous weight load capacities. Even better, the gyms utilised leverage on most exercises – so you were able to load weight plates instead of being restricted to a weight stack. This meant some exercises could use up to 500lbs! Plus it eliminated the need for complicated cable paths. For the exercises that did use a cable, the paths were simple so you got direct and smooth resistance. Later on, Megatec took the Powertec designs and applied their German design philosophies with great success. Now a lot of weight training enthusiasts will still turn their noses up at these leverage style gyms. These types generally only worship one God – the barbell – and nothing can sway them. What they don’t take into consideration is that some people simply don’t like training with barbells. There is a lot of set up that takes place as you get the barbell into position. The multi gyms avoid this as you just throw your plates on and away you go. Both the Megatec Triplex and Powertec LeverGym are much more compact than a power rack gym. 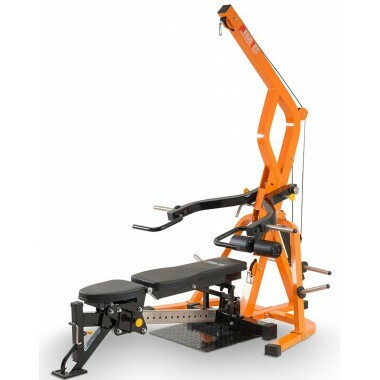 Their benches detach, so you have even more flexibility in how you house your gym. But what I like most about these gyms is almost the limitless variety of exercises that you can perform. I mentioned previously that these gyms were initially designed to perform the critical exercises with optimal functionality. However, over time, users from all around the world have come up with new exercises or variations on old favorites. Even after playing around with these gyms for over 10 years, I am still learning more about these multi gyms. If you are still not convinced about their effectiveness, Lee Priest has used the gyms in both the US and Australia. You will see many videos of him throwing around a lot of weight on these gyms – he even trained on these machines exclusively for his preparation for the San Francisco Pro that he won. Even the barbell fanboys have to be impressed with that!